British Prime Minister Theresa May has written to the European Union asking to extend Article 50 until 30 June. 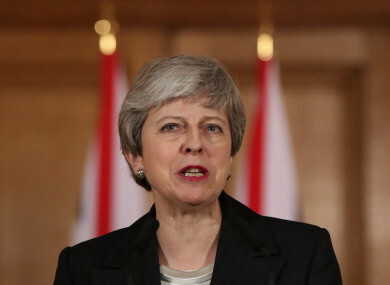 The European Commission has advised EU leaders, however, that it would be preferable to either delay Britain’s withdrawal from the EU to 23 May or until at least the end of 2019. As EU member states gather for a summit in Brussels today to consider May’s request, European Council President Donald Tusk has said that he believes a short Brexit extension is possible. So, today we’re asking: Should the EU give Britain a Brexit extension? Email “Poll: Should the EU give Britain a Brexit extension?”. Feedback on “Poll: Should the EU give Britain a Brexit extension?”.